A nature preserve, Harris Nature Center’s perimeter is the home and natural habitat to a wide range of animal species. The center also takes in animals for rehabilitation or permanent care if their injuries are the kind that leave them permanently crippled, including red-tailed hawks, numerous species of turtle, snakes, frogs, and toads. Visitors can see many of these beautiful animals at the center and even “adopt” one by way of donation. 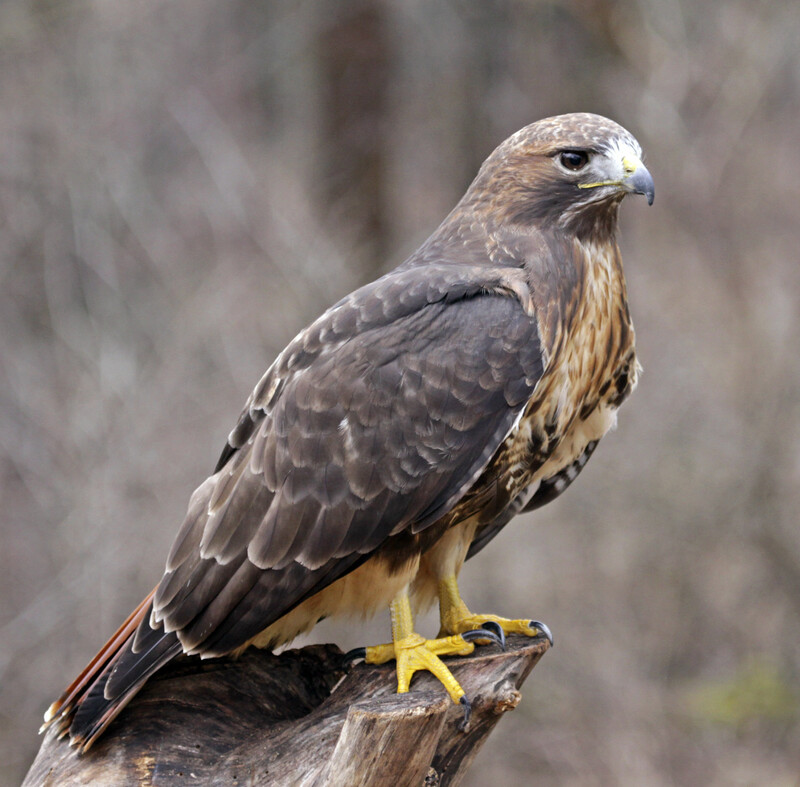 The red-tailed hawk exhibit is one of the Harris Nature Center’s most popular attractions. Harris Nature Center also offers a number of educational programs and activities throughout the year, including things such as bird-watching walks, wildflower walks, and the popular “Howl at the Moon” moonlit forest walks with your leashed dog that occur one Friday each month. If you love getting back to nature, you’ll love Harris Nature Center! Your Lansing vacation is made complete with a stay at The English Inn, Restaurant and Pub! The English Inn is located on the grounds of the historic Medovue, a 1927 country estate located in Eaton Rapids, less than half an hour away from Harris Nature Center. We offer you the comfort of modern amenities on a lush acreage replete with the Tudor Revival trappings of a luxurious past. We also feature a full service, fine dining restaurant along with an English pub on our historic and lush premises – book your stay, now!